With influences as diverse as Fela Kuti, Bob Marley, Lil Wayne, Wiz Khalifa – vocally in a song you’d expect to hear something masculine, straight point. 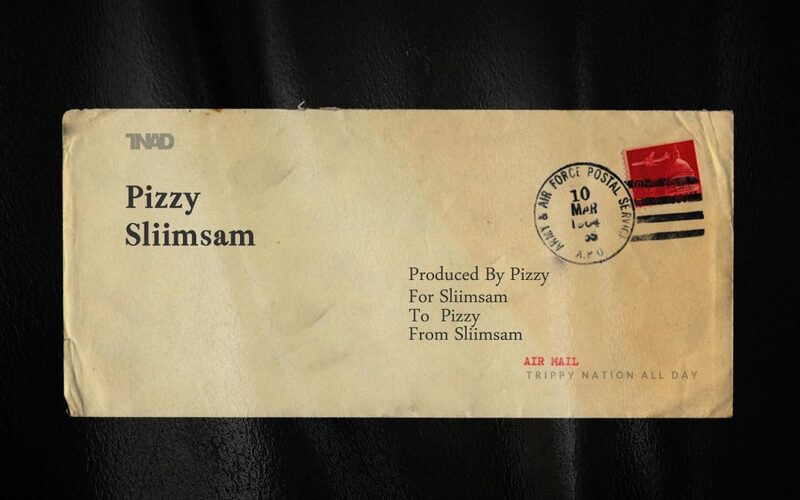 A totally no-nonsense situation and Sliimsam on his brand-new release ‘Pizzy’ doesn’t disappoint. Sliimsam (real name Samuel Otoru Omubo-Dede) hails from Beyela State, a region in the infamous, internationally-influential West African nation of Nigeria. At only 25 years young he’s been honing his rap skills in the shadows and listening to his voice it goes with his lyrical delivery like Bun goes with Cheese! Deep, gravely, dulcet tones. His lyrical delivery is what you’d expect from a lover of Trap music. Boasty, Bragging, self-confident, self-assured – everything an emcee should look to be, or at least understand. The beat production is on point. All the classic trap elements are there. Double time 808 hi hats, Rib shaking kick drum that doubles as a bass pulse and eerie melodic synth lines. In this case the synth lines take me back to 80s sci-fi. Something like Terminator or Escape from New York. It’s dark but that’s the objective. When the production is good the vocals can find a place to rest. He describes his sound as “naturally unique… creatively speaking he likes combining different ideas on his tracks, “I promote joy, love, peace and fun and encourage my fans/listeners to live their life to the fullest.” He describes the beat this latest release ‘Pizzy” as “more or less a gift to me from a respected friend and producer. As an appreciative measure, I composed the track in the form of a letter, my style of a letter at least, motivating, pushing and appreciating him and all the people backing me atm. In urban language, My Squad!”. Regarding live shows, Sliimsam has performed at various events along the years these include Wazobia 2017 & 2016, Face of Africa (FOA) 2016. He has his eyes on big things in the music business and is currently building an entertainment group called ‘TNAD’ (Trippy Nation All Day), He’s just released his first official music video for “OKOPOGO” which follows his second single “FSUL (F**k S**t Up & Leave)”.